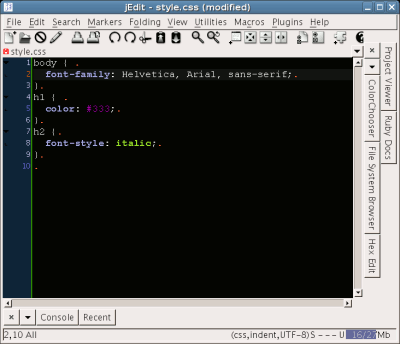 There are many good CSS editors for Linux. Basically, all you really need is a text editor that will perform syntax highlighting on CSS files. 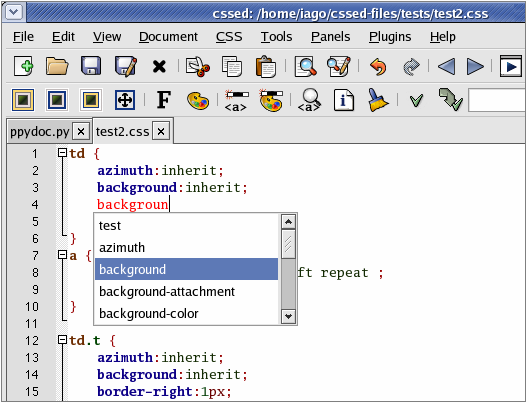 Some of the programs below are just simple text editors, while some offer additional features. Here're some I've tested and used in the past. The old good Vim is a perfect tool for any kind of coding, to be honest. And if you are a command line zealot, there's no better tool. However, there's a GUI version of Vim - Cream. I highly recommend Cream if you are looking for a simple text editor, or want to learn Vim the easy way. Gvim will launch and the terminal will pass the file to Gvim. 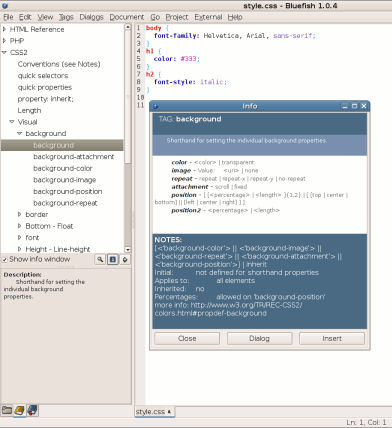 cssed is a GTK-based CSS editor. It has many CSS-specific features, including color picker, and CSS helpers. Definitely worth experimenting with. gedit "” the default text editor for GNOME "” works well as a simple CSS editor. It lacks a color picker tool though. jEdit is a great editor that is written in Java, but I've stopped using it because it runs a little too slow on my computer. Before you decide to try out jEdit, make sure that you have Sun's version of Java installed on your computer. 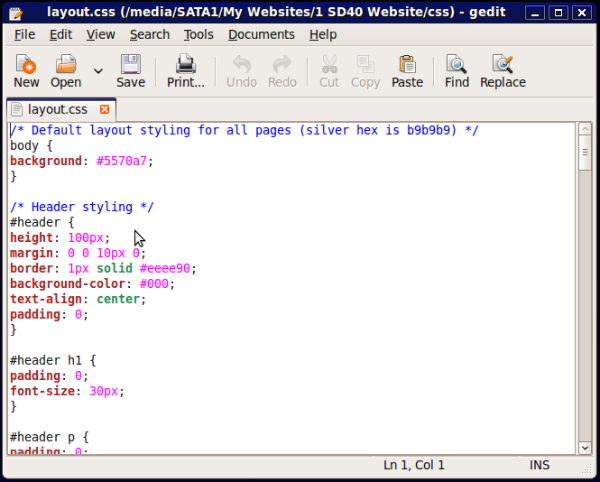 Bluefish is a powerful text editor that you can use to edit CSS files on Linux. One great feature of Bluefish is the CSS reference that is included.